When you stay at LUPINUS KAWAGUCHIKO in Fujikawaguchiko, you'll be on the boardwalk, within a 15-minute drive of Mt. Kachi Kachi Ropeway and Narusawa Ice Cave. The front desk is staffed during limited hours. Free self parking is available onsite. With a stay at Tsuwanonooyado Yoshinoya in Tsuwano, you'll be just steps from Hikimikyo Onsen and Maria Seido Chapel. Free self parking is available onsite. With a stay at Hotel Sankeien in Sapporo, you'll be within a 10-minute walk of Jozankei Shrine and Jozankei Hot Spring. Free self parking is available onsite. 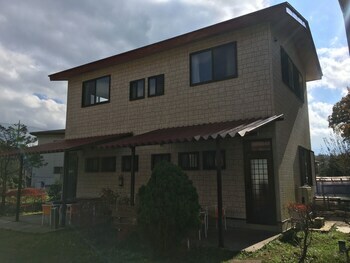 Located in Hiroshima, Guest House Carpe Hiroshima Koi - Hostel is within a 15-minute drive of Hiroshima Peace Memorial Park and Hiroshima Castle. With a stay at Hotel Kasuien in Ureshino, you'll be within a 5-minute walk of Ryukyu Islands and Ureshino Onsen Tourist Information Center. Free self parking is available onsite. Located in Awaji, Athena Kaigetsu is a 4-minute drive from Osaka Bay and 6 minutes from Awaji World Park Onokoro.